We are excited to announce that television icon Pabi Moloi will serve as the official host of the upcoming season of reality show Presenter Search on 3 which launches this month with countrywide auditions to find fresh new presenting talent. 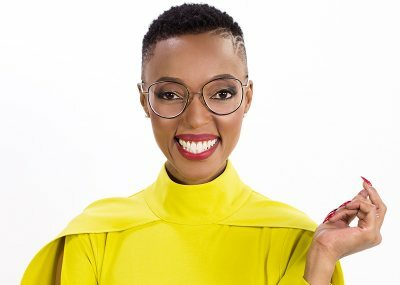 Pabi has had an extensive career as both a television and radio presenter and her skills, knowledge and charisma makes her the perfect person to drive a show of this nature. Pabi’s illustrious career has seen her before international audiences, a myriad of prolific movie and music stars as well as in in-depth reality formats. Her presenting career at the tender age of 11 and has since hosted shows such as Strictly Come Dancing, The Amazing Date, Trending SA and a variety of other programs. Pabi has also had extensive experience as a radio presenter hosting shows on stations such as YFM and 947. Pabi is currently presenting POWER Breakfast on talk-station Power FM where she continues to challenge the norm and provide her audiences with insight, inspiration and knowledge. Her effortless presenting style, inquisitive nature and heart of gold will ensure that hopefuls remain confident and comforted as they audition for this life-changing experience. Auditions are right around the corner and Pabi encourages anyone who has a passion for television and presenting to visit an audition venue and show off their skills to the esteemed judges on board this season. Cape Town on Saturday the 7th and Sunday the 8th of April at the Newlands Rugby Stadium. Presenter Search on 3 spring-boarded the careers of the previous winners Simba Mhere (Top Billing), Jonathan Boynton-Lee (Top Billing), Zoë Brown (Expresso), Danilo Acquisto (Afternoon Express and Win a Home) and Jade Hübner (Top Billing) all of whom became household names. Their journeys to stardom started in the queues of Presenter Search on 3 and this season could be the one to change your life. To enter, hopefuls must simply arrive at the audition venues on the date of the audition and fill out an entry form, which they will get at the registration desk. Who Is Your Favourite New Presenter?